It’s a refrain we all hear every year around September: “I swear, whenever they release a new iPhone, Apple makes all the old ones run worse to make you upgrade.” But thousands of performance tests conducted over the years by Futuremark users show that the conspiracy is mostly in your mind. If you don’t know Futuremark, it’s the company behind the benchmark software 3DMark (among others), which for years has been a standby for testing how devices from gaming PCs to phones perform. 3DMark has the device render demanding 3D scenes that stress different parts of the hardware, and tracks how quickly it calculates, how many frames per second it renders and so on. At the end, it combines all those metrics into a single score that’s easy to compare between devices or cards. 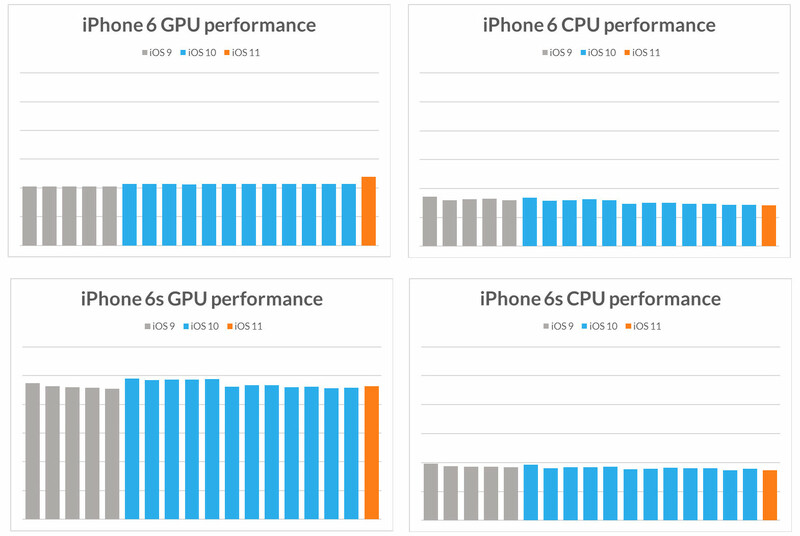 In the case of the iPhone (for which 3DMark is a free download if you’d like to try it), power users and reviewers run it (and other benchmarks like it) to see whether updates or apps affect their device’s performance. Futuremark stores those scores for comparisons like the one released today. 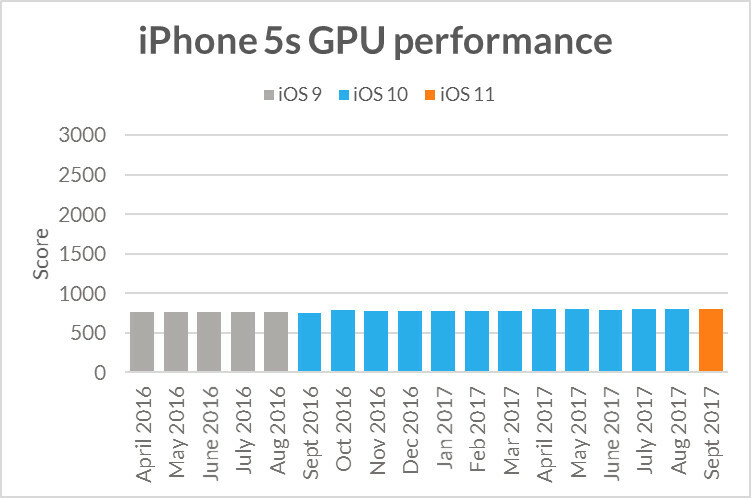 Futuremark’s analysts aggregated the last couple years of scores for the iPhone 5s, 6, 6s and 7, to see whether it was true that iOS releases or new iPhones tended to coincide with (or trigger) drops in performance. It’s clear from the data that phones don’t seem to degrade in any significant way over time; some do see performance hits with some OS versions, but others see gains. Even the 5s, quite long in the tooth at this point, is only a tiny bit slower than it was a year and a half and two major iOS versions ago. That said, people may still be perceiving real slowdown, nor can synthetic benchmarks reliably capture things like little delays or input lag that add up to a slow-feeling phone without affecting its pure performance score. So while the performance hit may not be totally phantasmal, it seems pretty clear that Apple isn’t sabotaging your device to make you upgrade. And really, the desire to have the latest model is something Apple users don’t need any help with. Hopefully that puts an end to these unfounded theories… at least, until next year.